The majority of Americans believe in a country where students can go to any public school in Alaska, Arizona, Florida, New York, Texas, Idaho, or… and receive a good interdisciplinary comprehensive education based on facts, content, and sound educational practices. 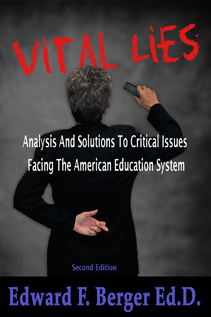 Americans do not believe in education which is cult or religious-based indoctrination. Nor do Americans want schools driven by profiteers trying to capture the minds of children for personal or corporate profit. If you believe this, comment and join in a national dialogue about the educational leadership necessary to save the American Dream.